What would a world without men be like? This book asks that question -- then asks, "What are you going to do about it?" In a world without men, women must be everything. Would women be different? Would women make different laws? Would women change politics? Would women be more successful than men? Would women stop all wars, end famine, and save the world? Rachel says, "Yes we can. Let's get it done." Then she details the steps and starts asking the tough questions that men can't answer, or have refused to answer for the past 200 years. Men's world? The home of course. This book is about a world of men at home raising the children professionally -- and it's a better world than what we have now. 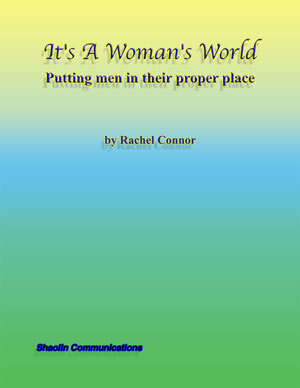 Rachel Connor has bravely theorized that women can run the world better than men. Utilizing science and history, she points out that men have fulfilled their role to conquer the planet and make it safe for women. Now women can for the first time in human history, support the family, and not be required to stay home and raise the kids. This is a new world we have evolved to. This book will at least inspire people to consider their futures, roles and potentials in a new world -- run by women. What would you do differently? 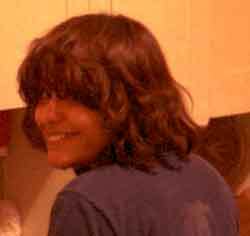 Rachel is a professional biographer who states that the evolution has already begun and she wants to know your stories that are shaping this new future for men and women of the planet Earth. 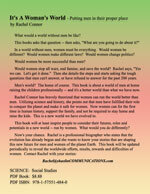 This book will be updated periodically to reveal the worldwide efforts, results, rewards and difficulties of women.